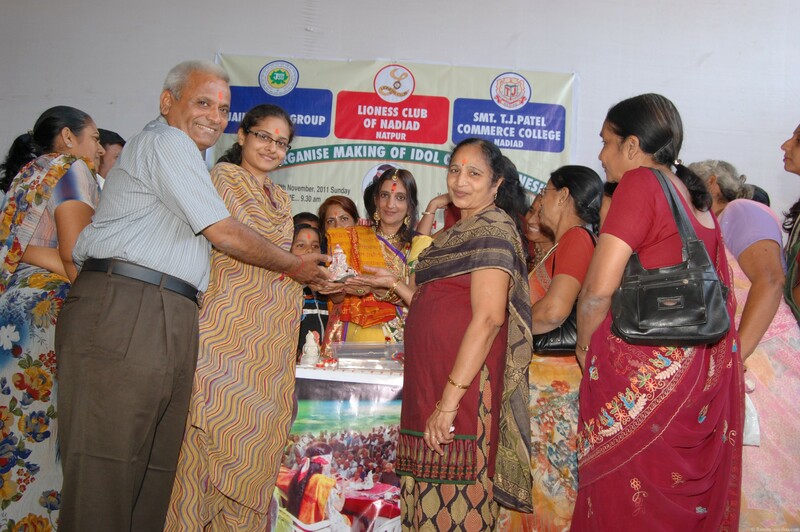 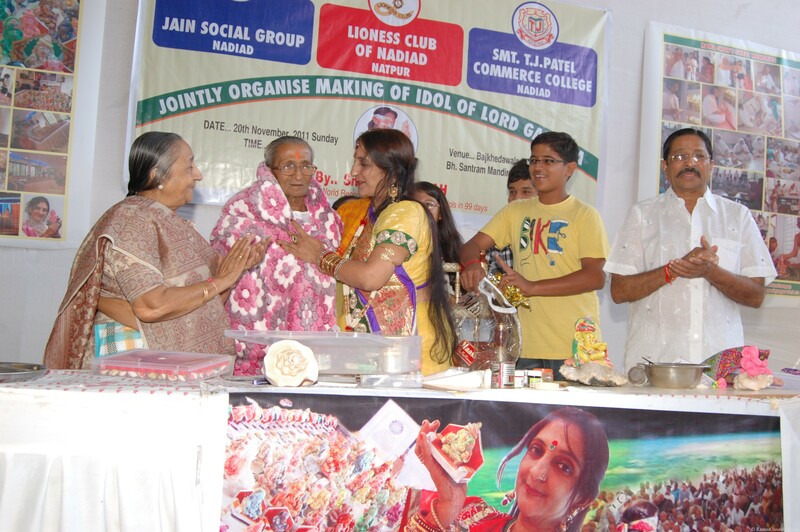 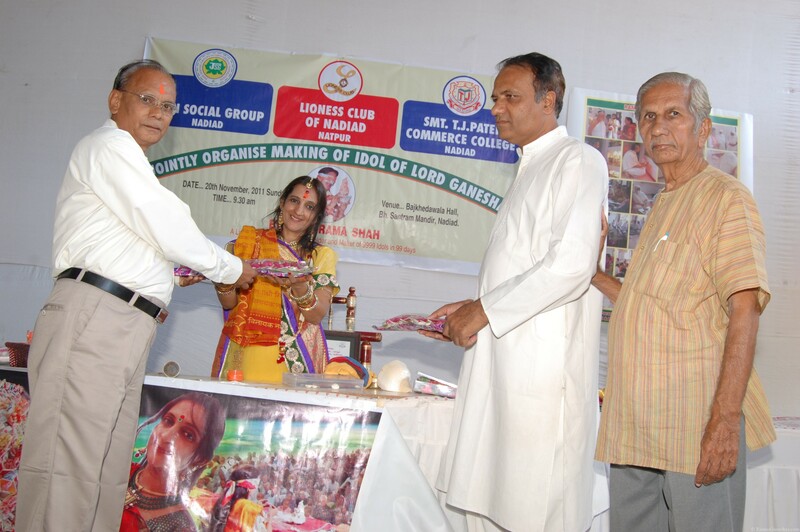 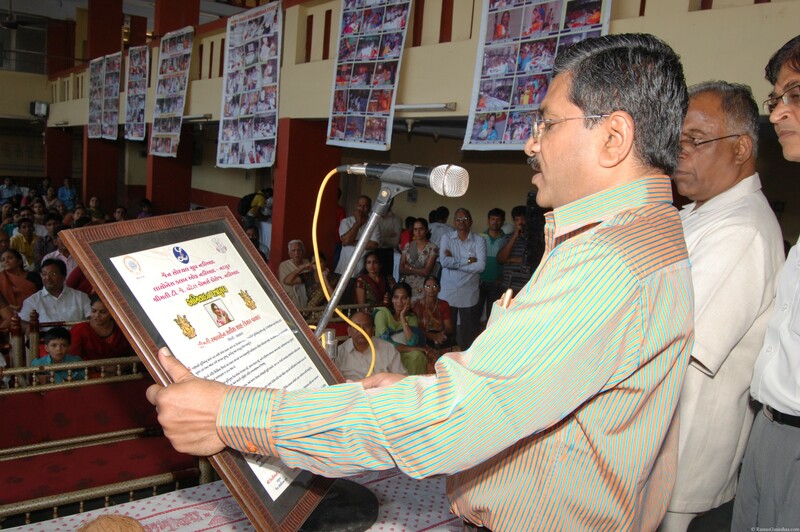 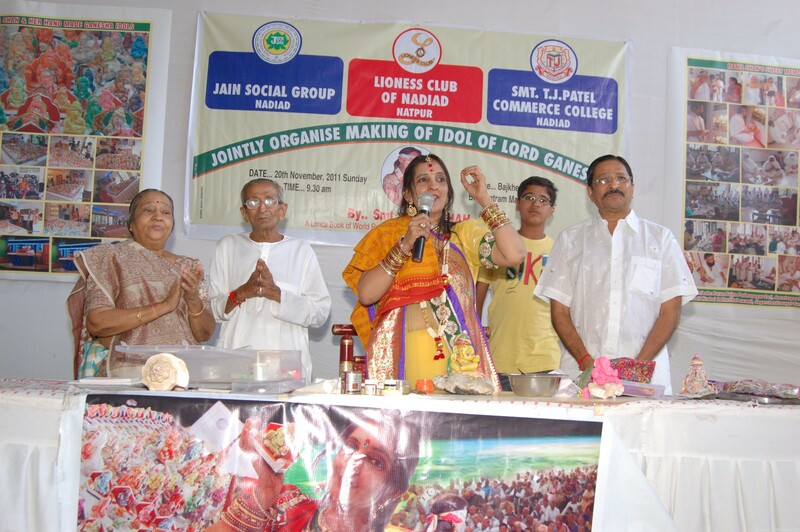 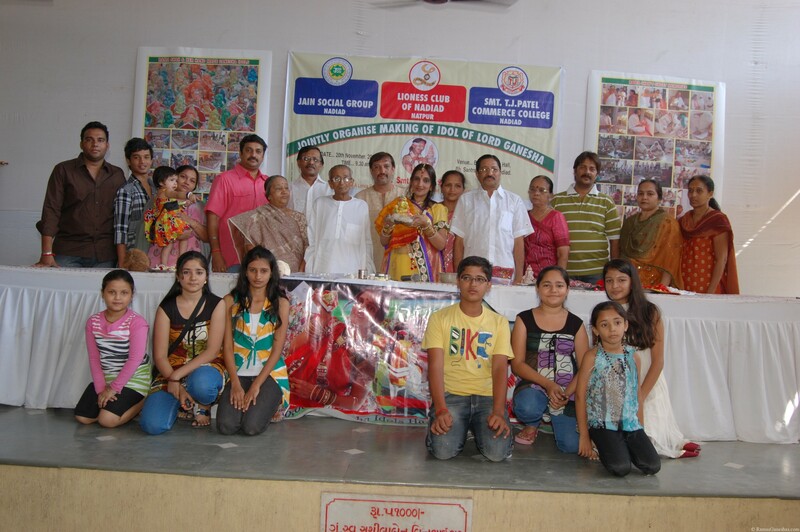 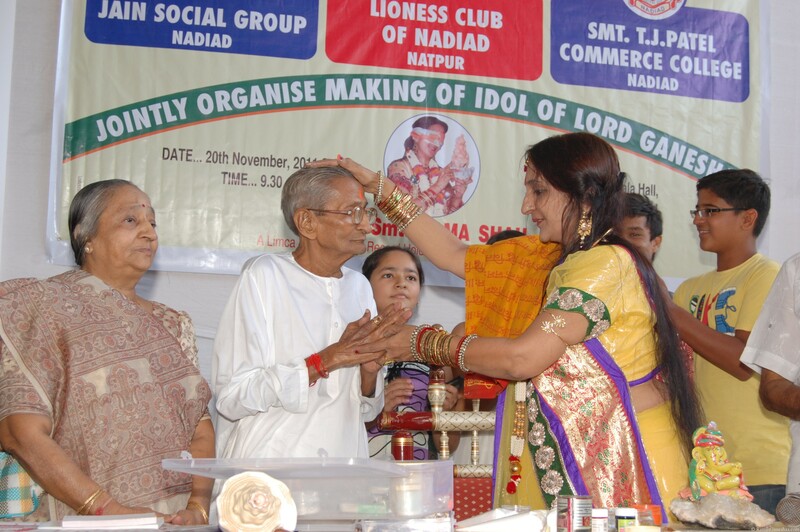 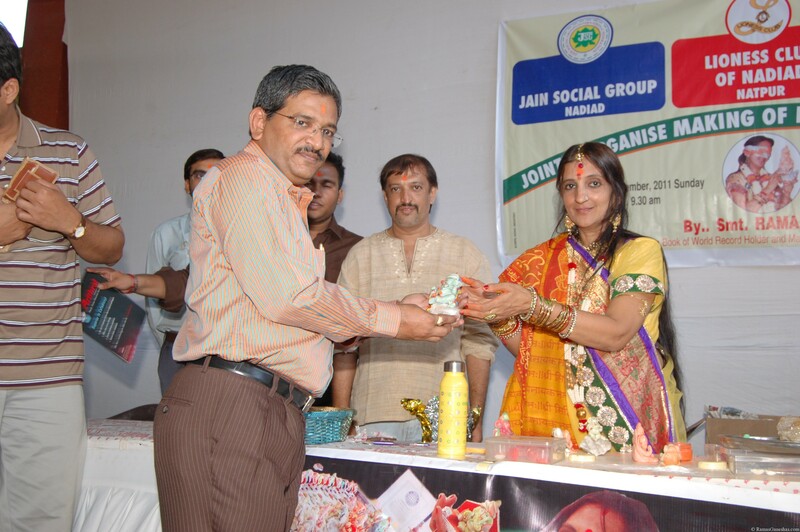 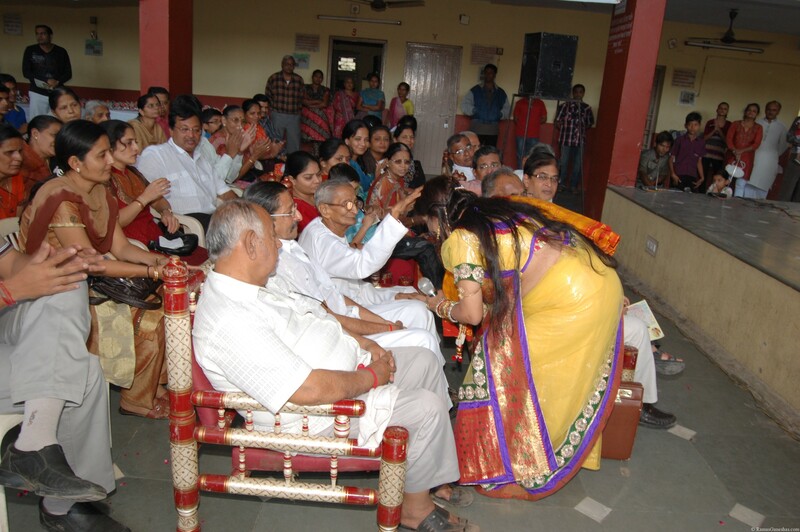 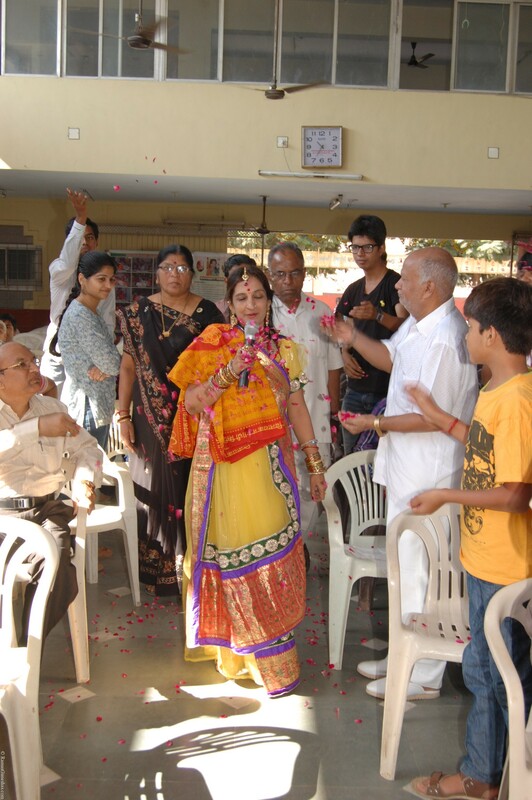 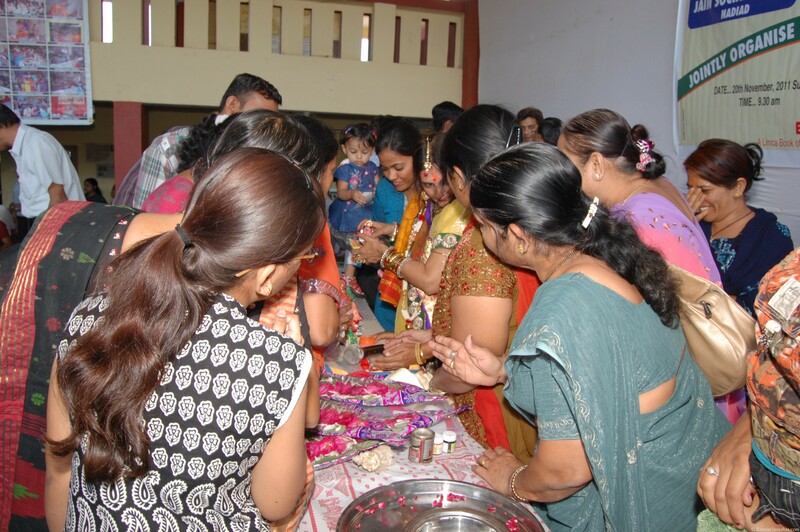 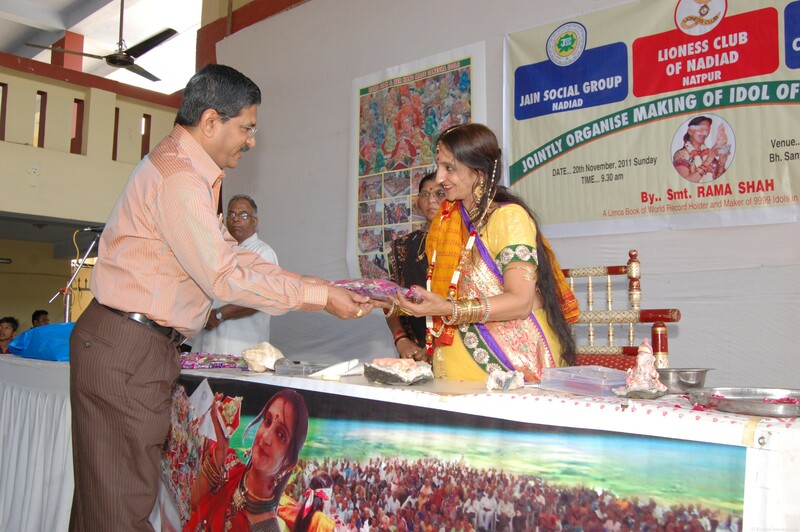 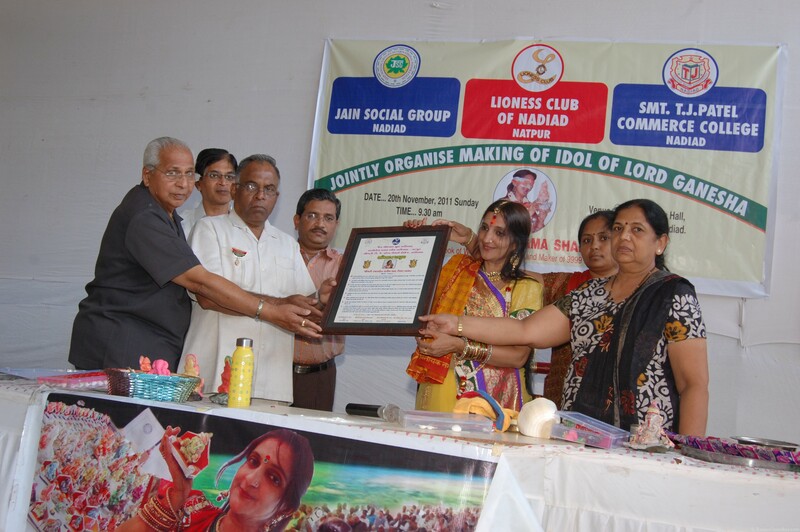 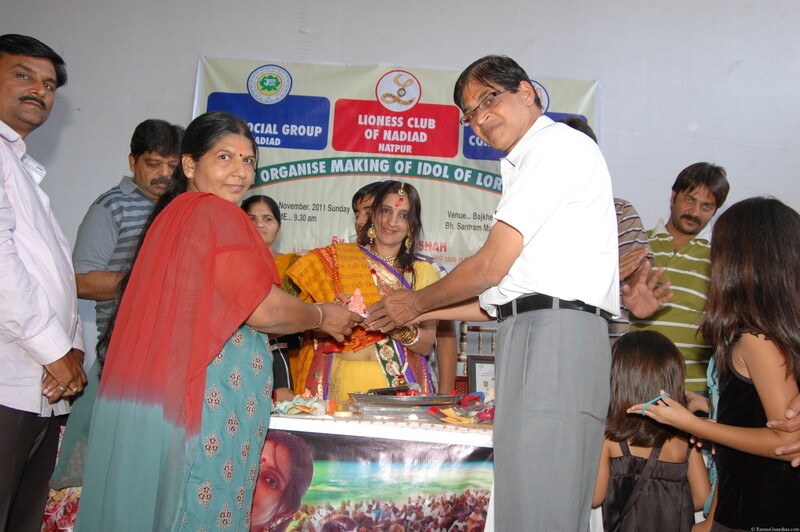 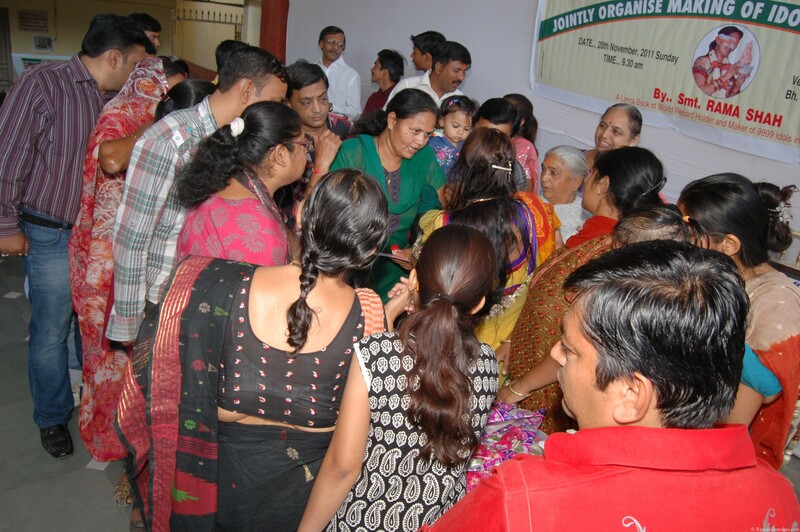 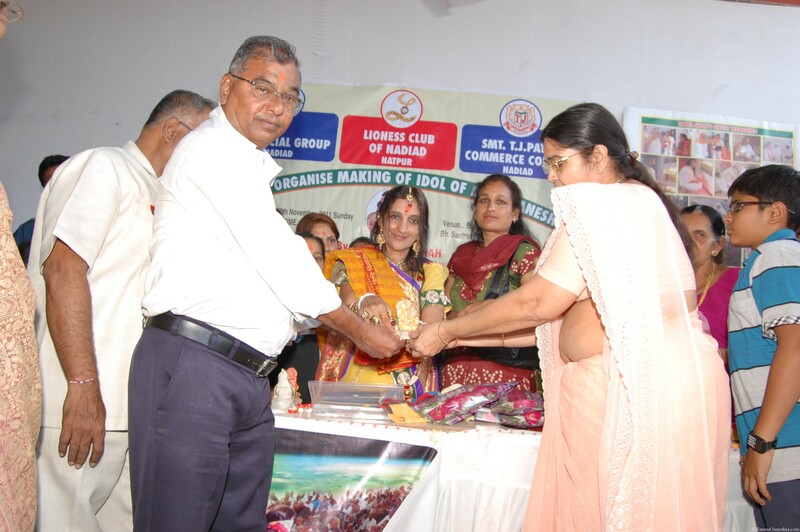 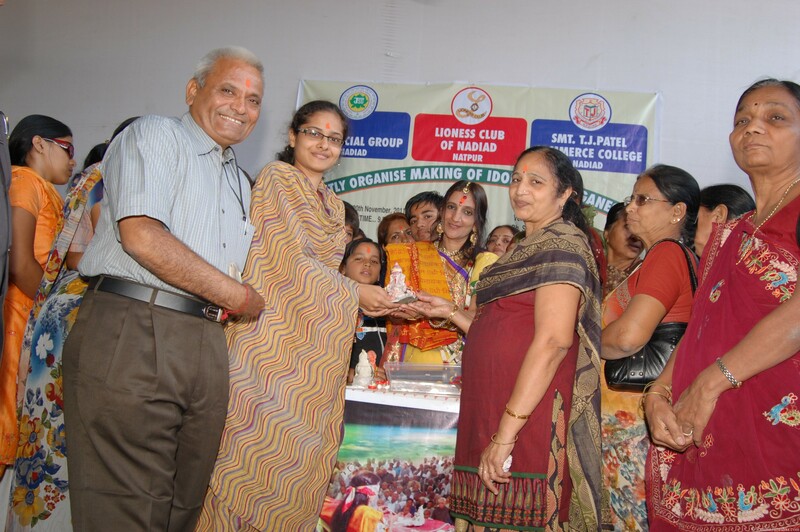 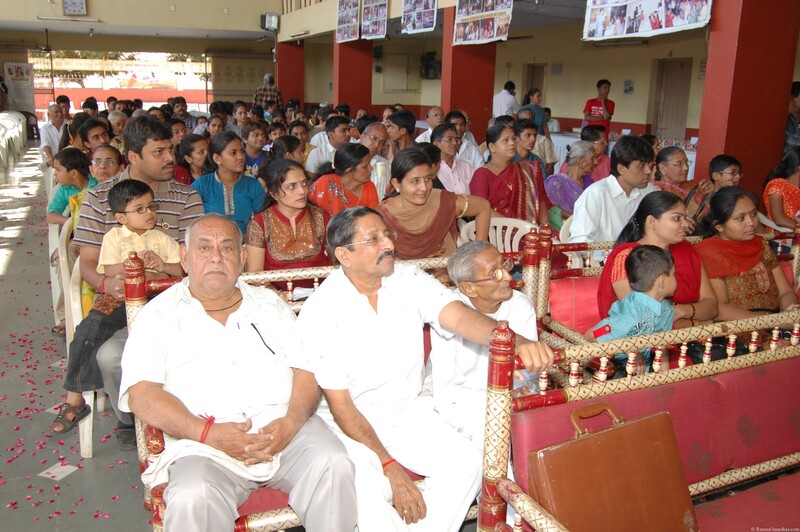 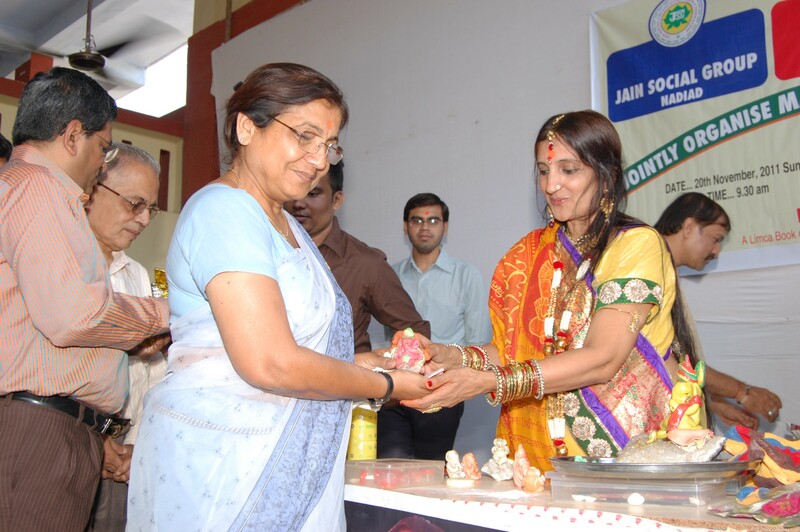 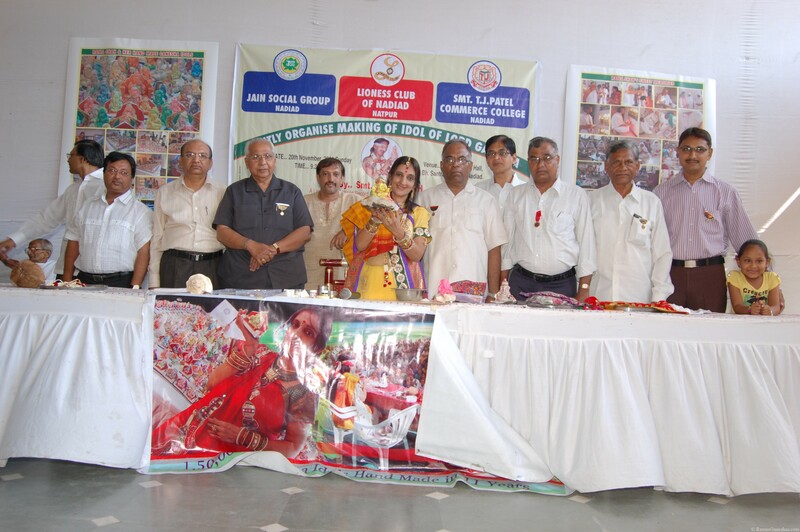 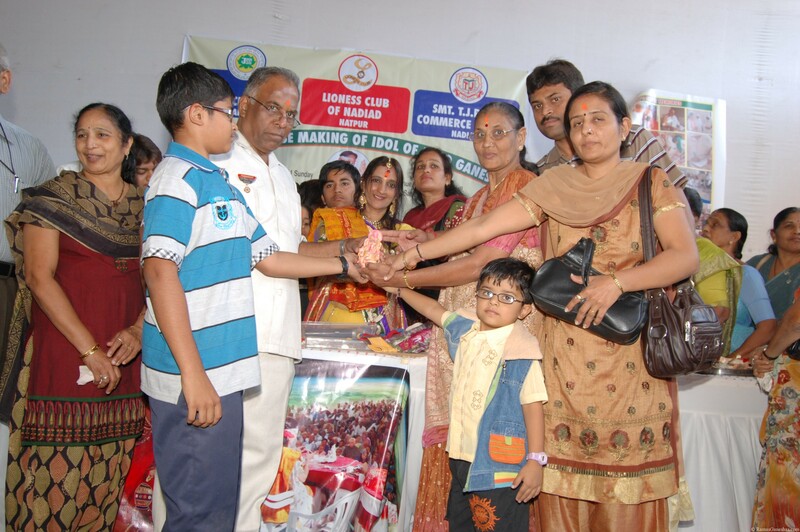 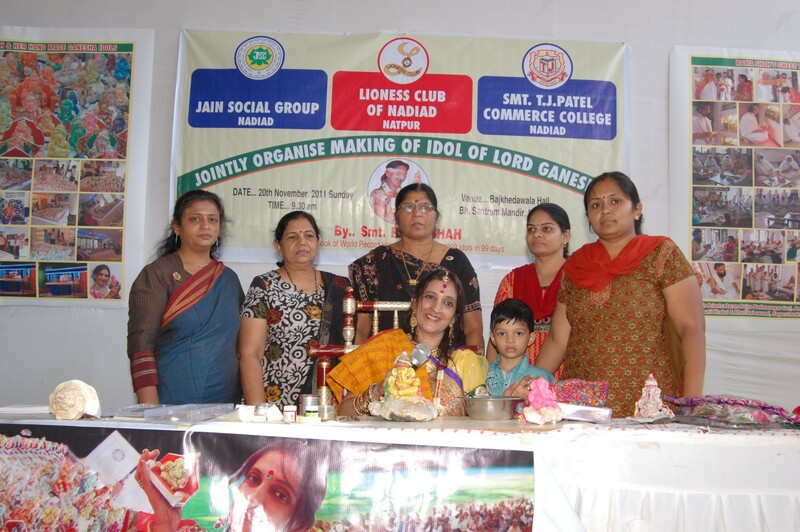 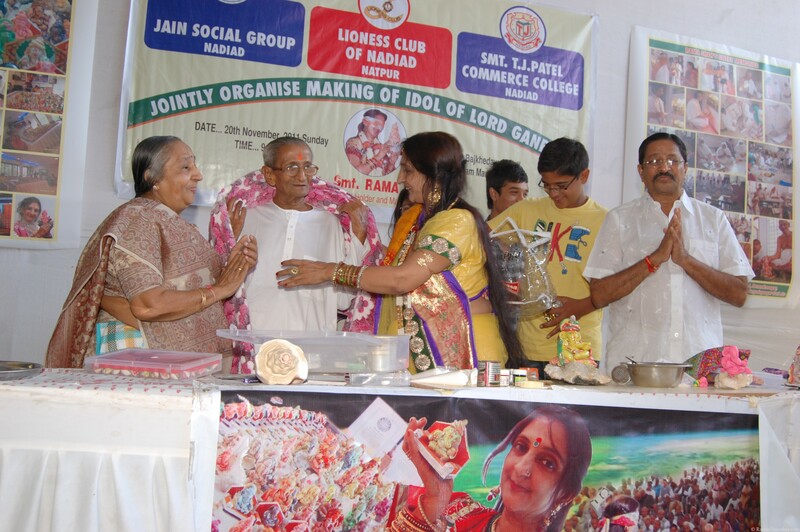 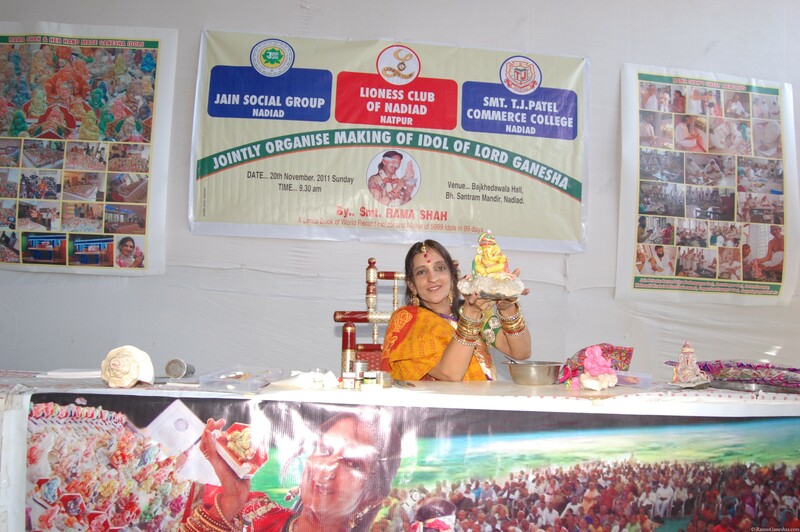 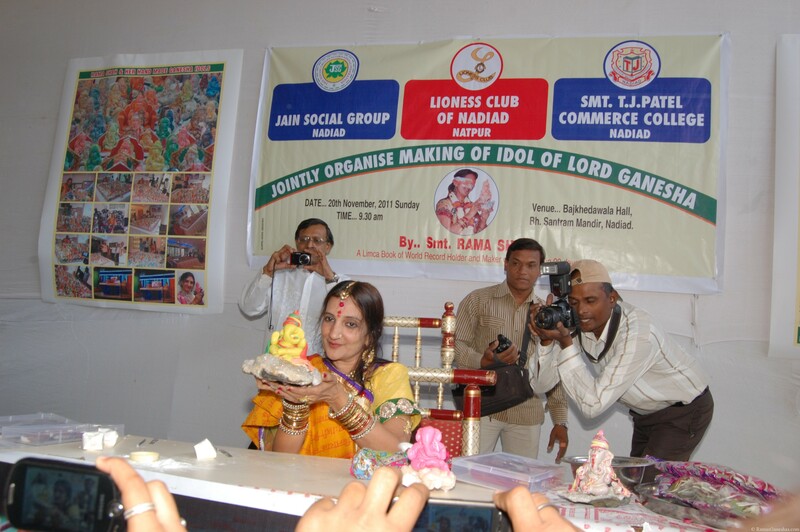 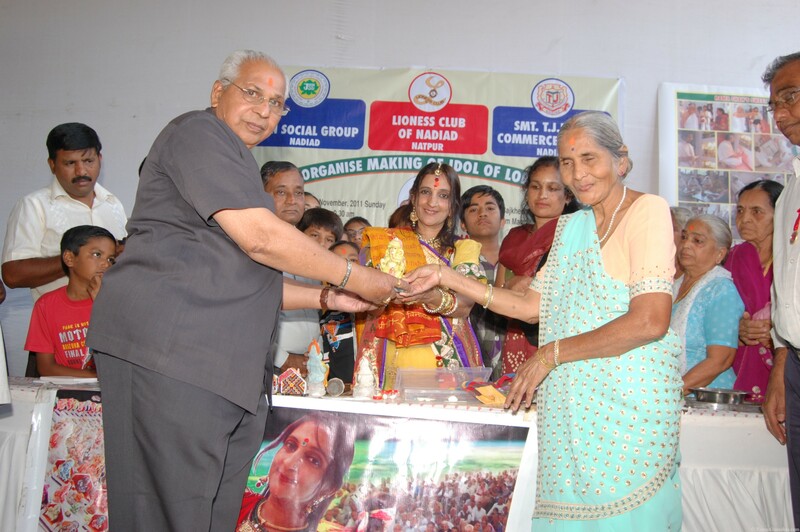 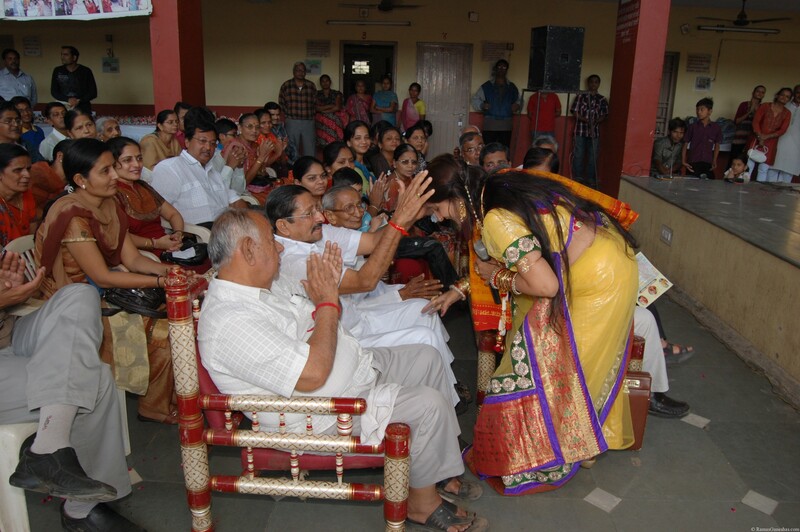 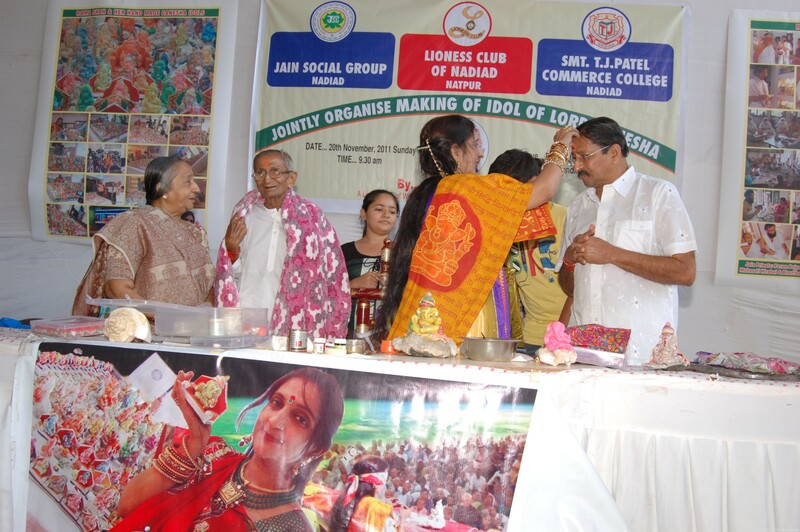 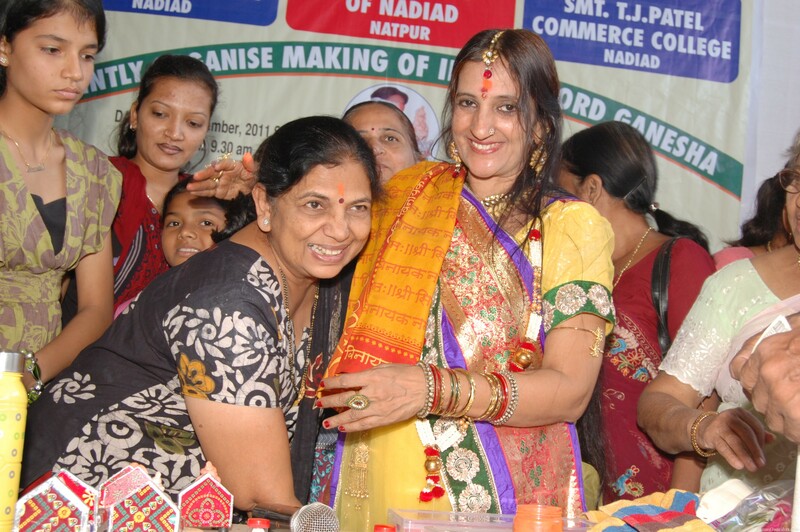 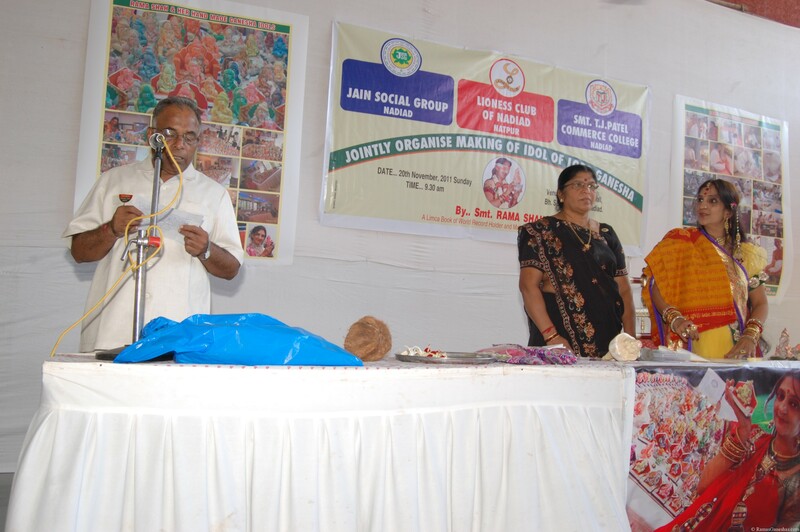 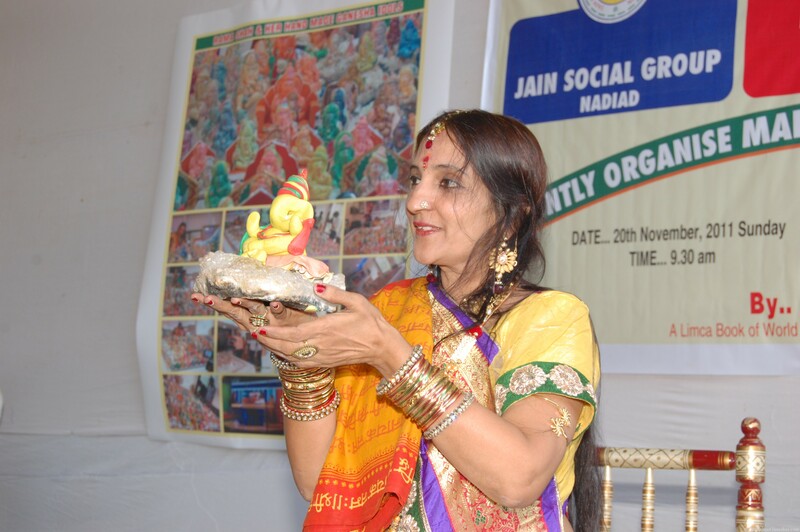 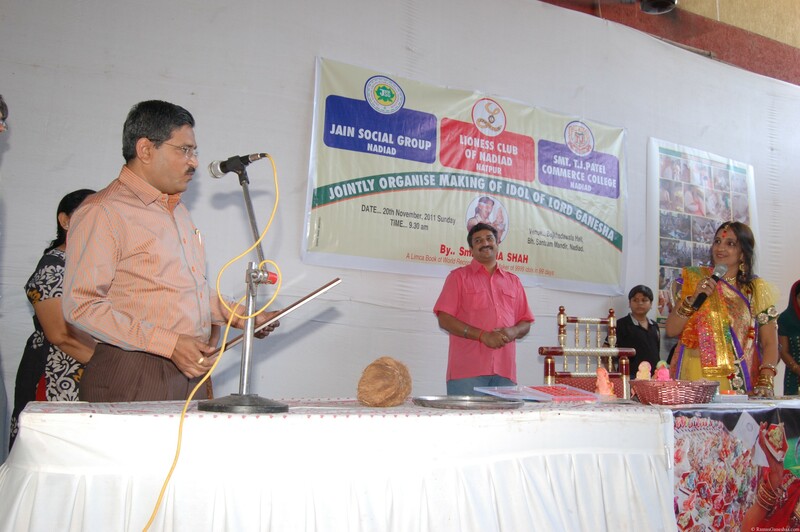 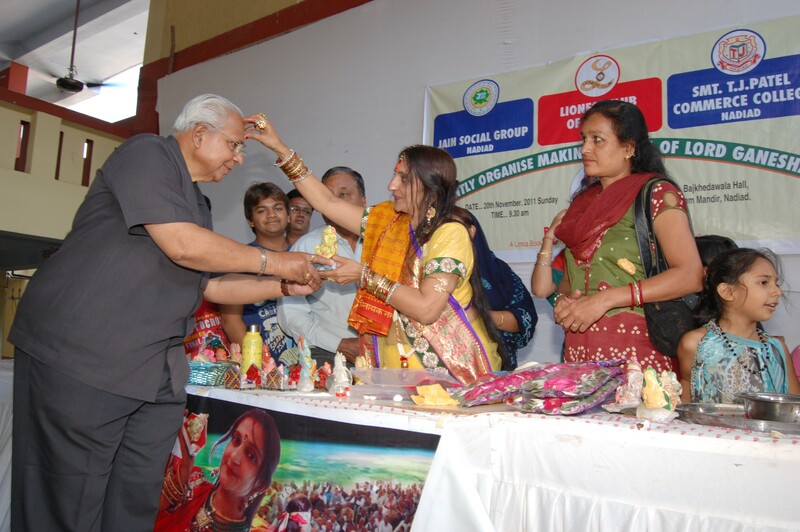 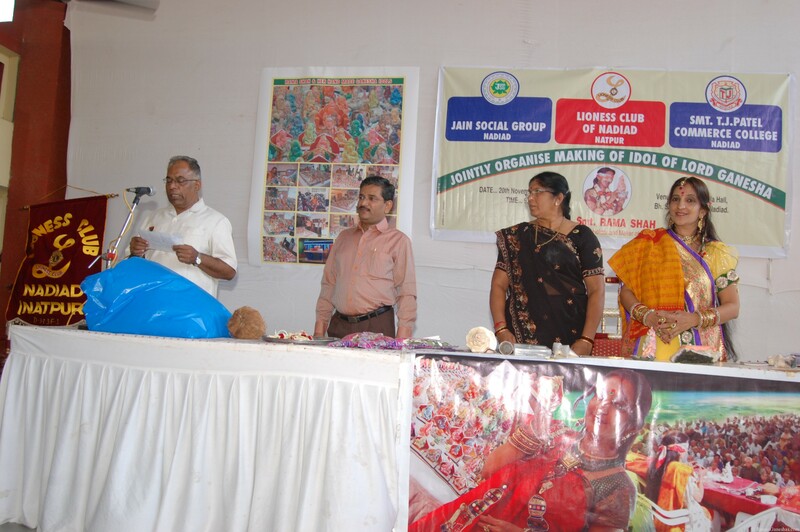 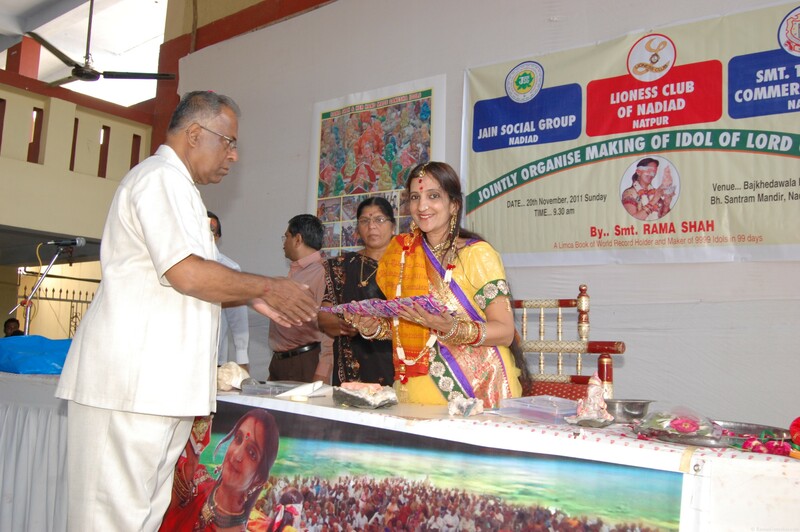 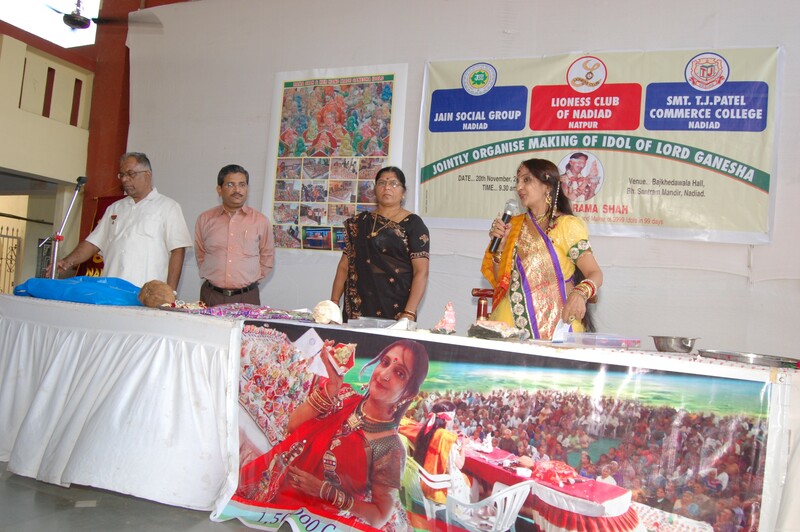 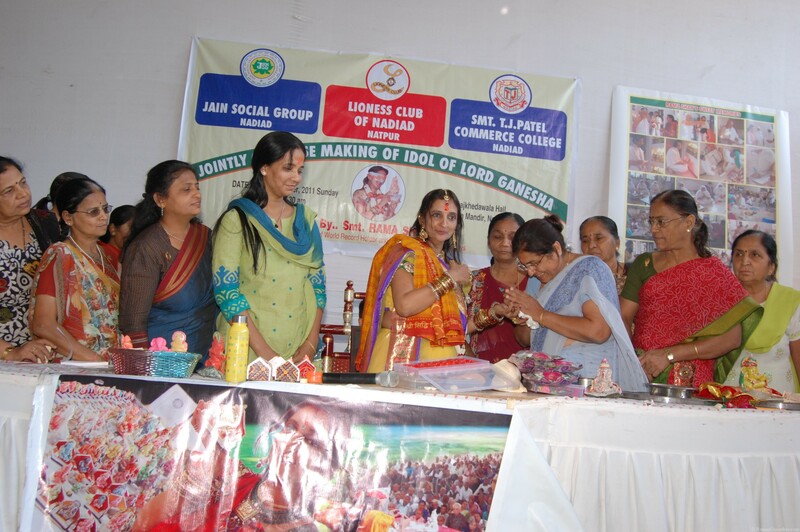 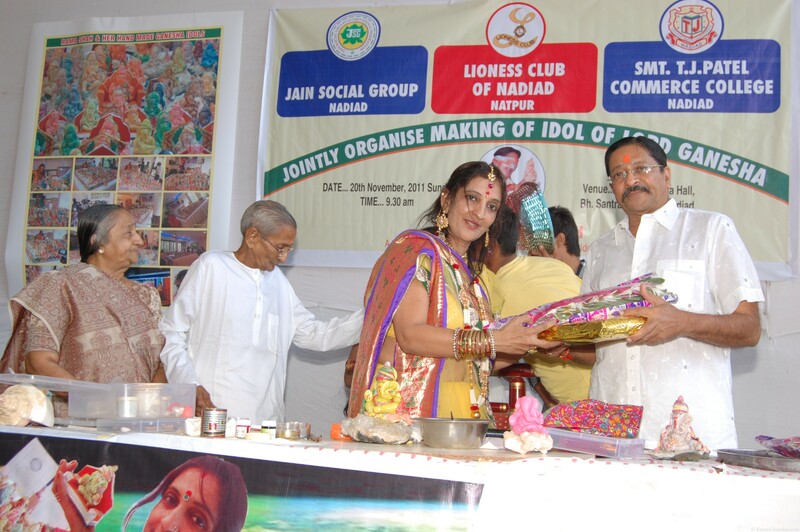 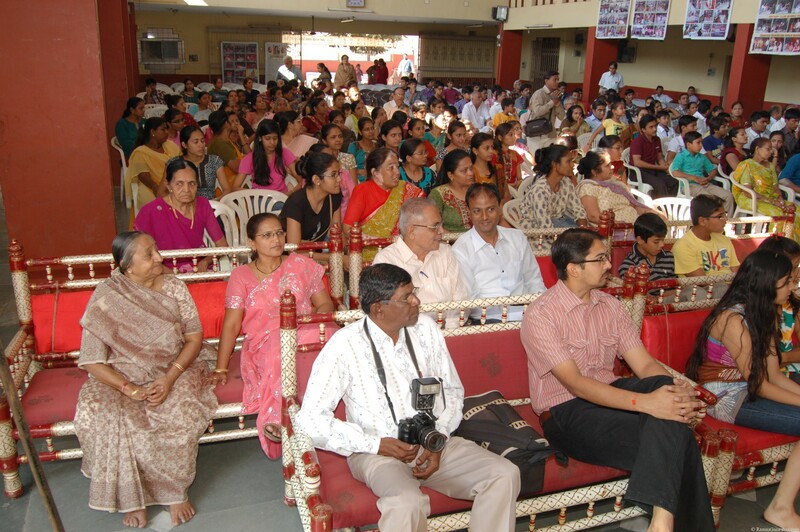 Rama Shah was invited at Nadiad by Jain Social Group, Nadiad, Lioness Club of Nadiad and Smt. 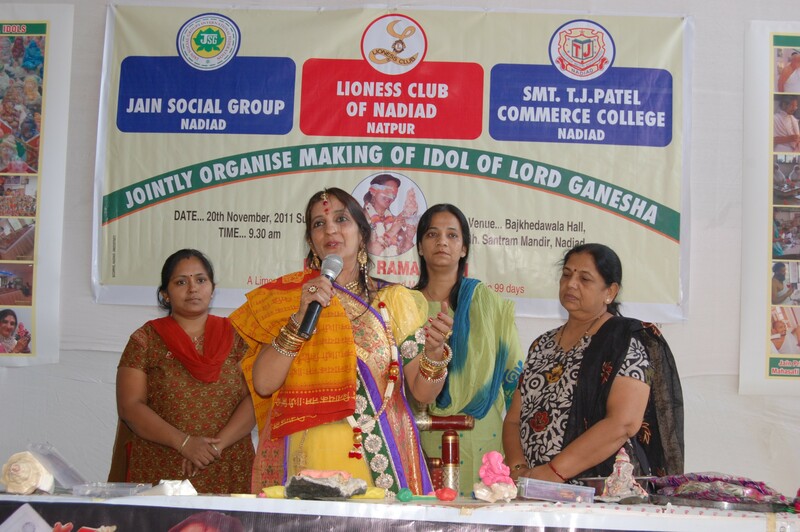 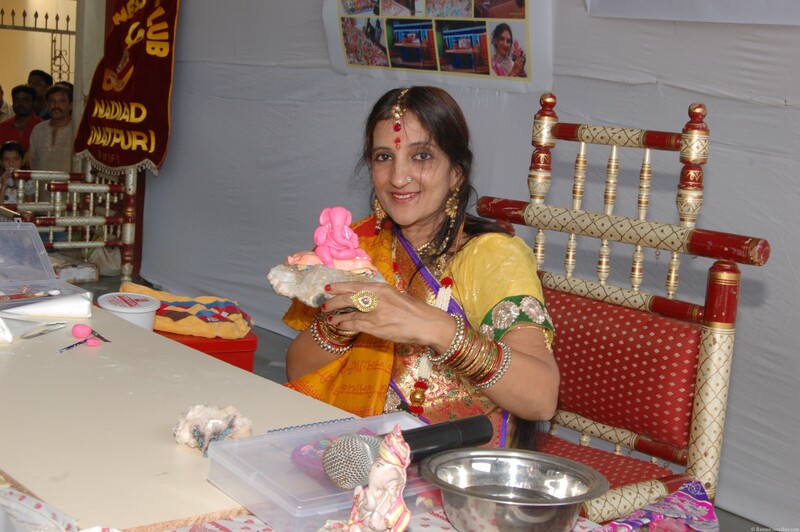 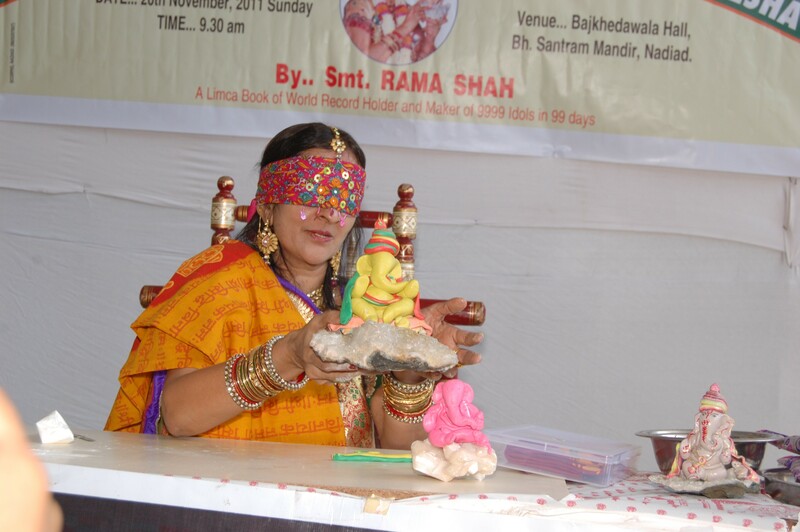 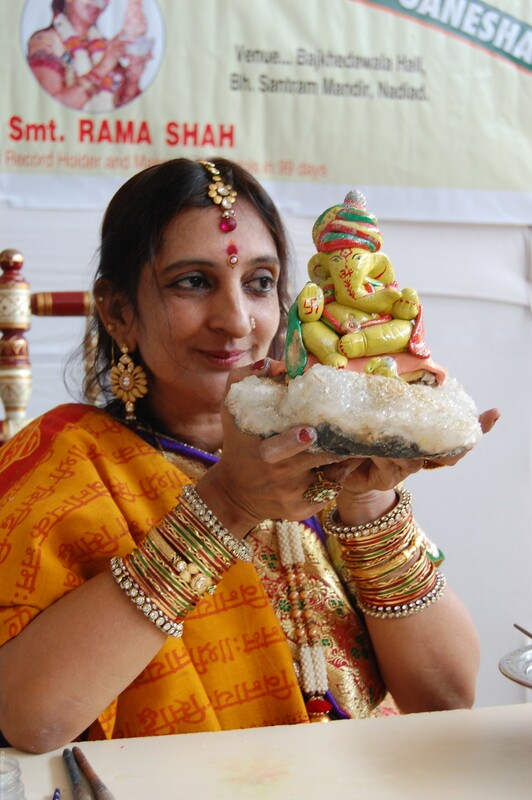 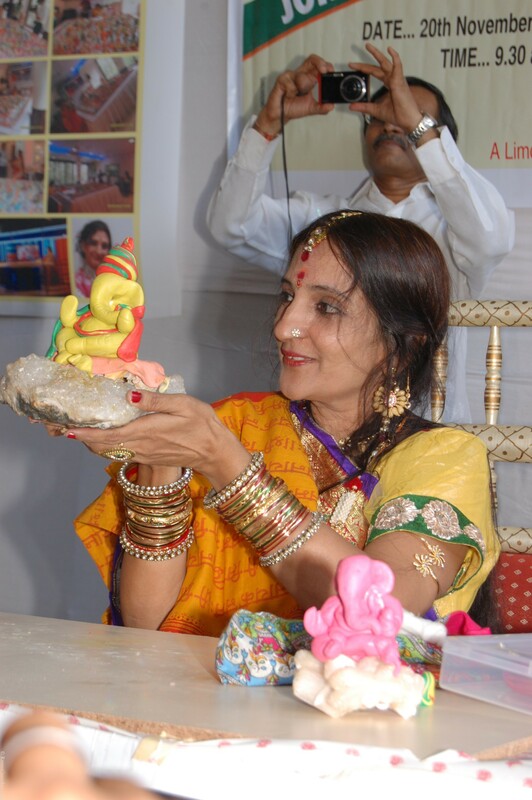 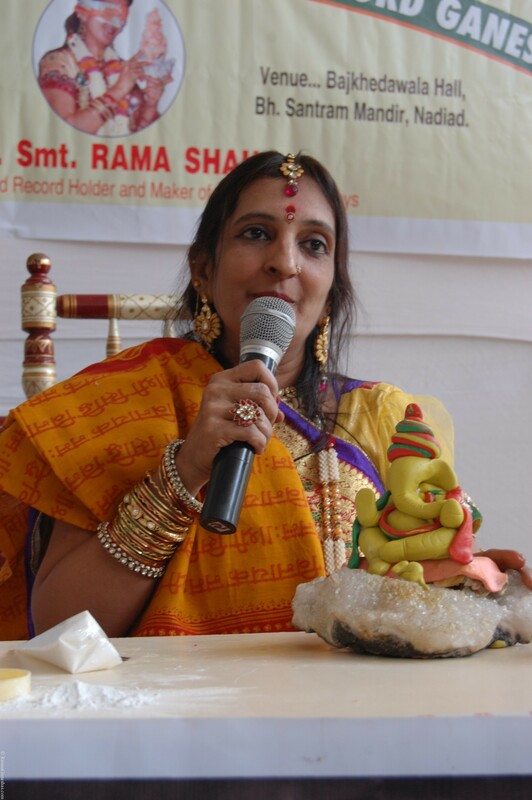 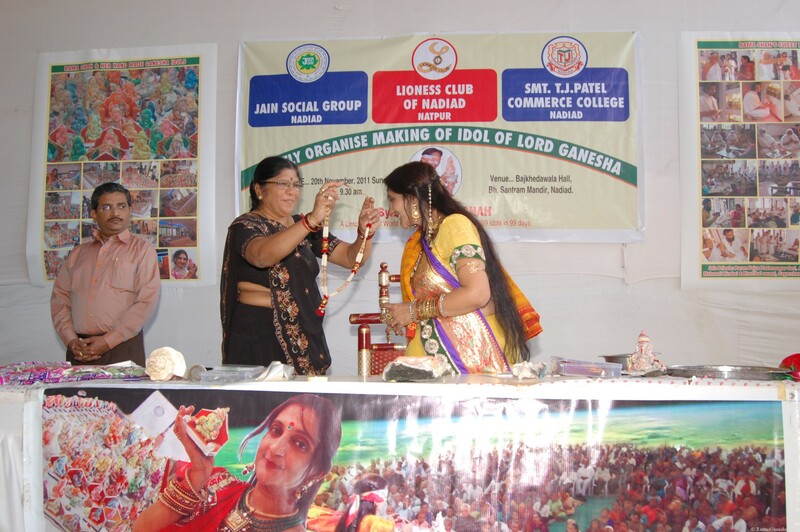 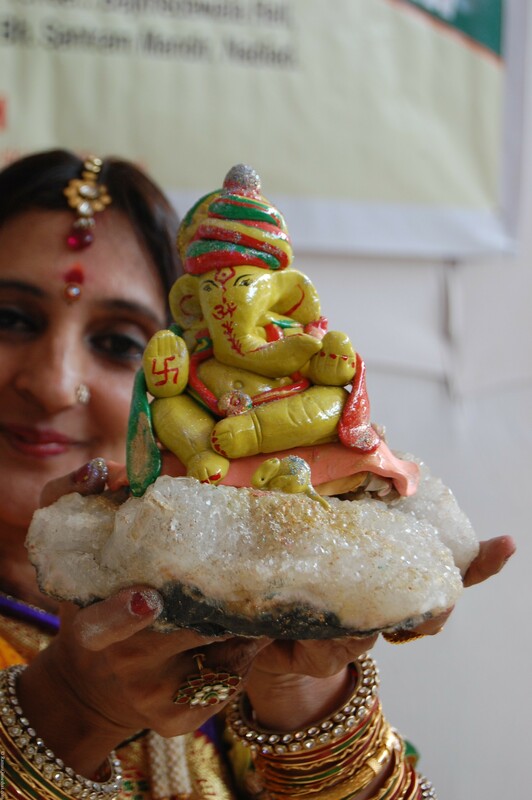 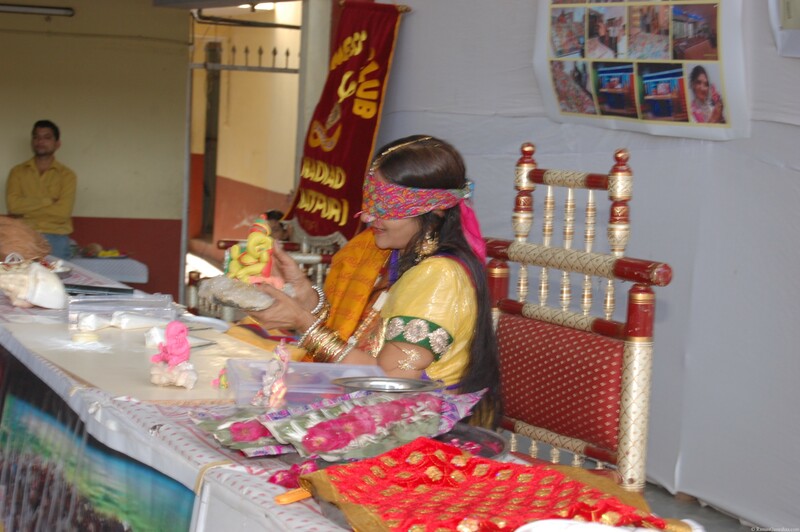 T. J. Patel Commerce College Nadiad to demonstrate her talent of making a Ganesha Idol blind folded in front of both the above groups and students of Smt. 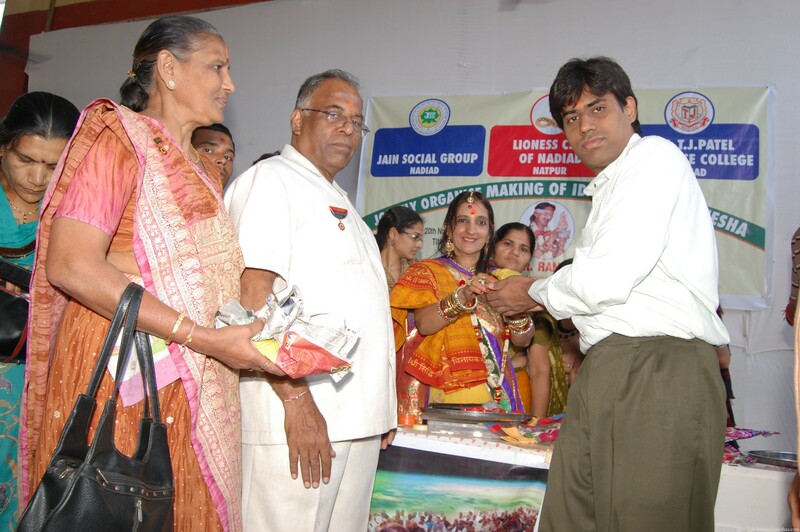 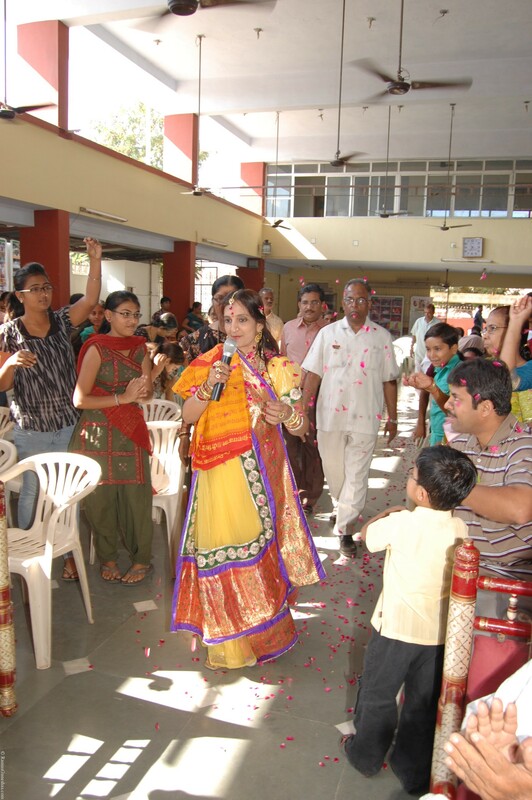 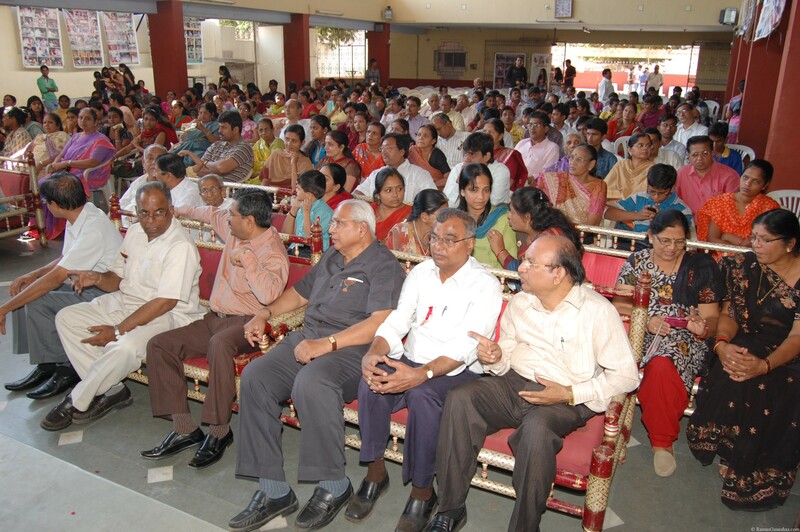 T. J. Patel Commerce College on 20th Nov., 2011. 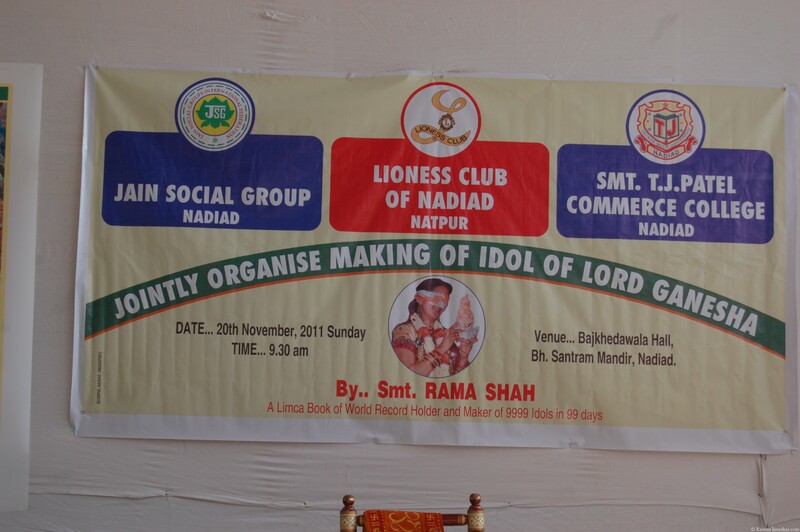 Tagged Blind Folded, Ganesha, Idols, Jain Social, Lioness, Rama, T.J.Patel.